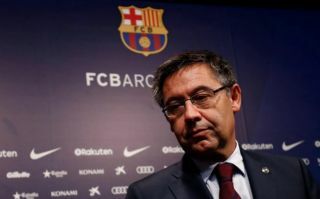 Barcelona president Josep Maria Bartomeu is set to travel to Amsterdam early next week in order to try and finalise a deal for talented Ajax wonder-kid Matthijs De Ligt. De Ligt has established himself as one of the most sought-after youngsters in Europe this season, and it seems like Spanish giants Barcelona are close to finalising a deal for the Dutchman. As per Mundo Deportivo, Bartomeu and a few other Barcelona chiefs are to travel to Amsterdam early next week to meet with Ajax chiefs regarding De Ligt. The report also notes that De Ligt will go for around about the same price as Frenkie De Jong did, which was €75M plus €11M in variables. Barcelona getting De Ligt would be a huge coup for the club, as it would mean that the Blaugrana would have an ideal replacement for the ageing Gerard Pique. Pique is fast approaching the twilight years of his career, and it won’t be long before the club are forced to dip into the transfer market to buy a replacement for the Spaniard. And it seems like they have found the perfect man in De Ligt, who has shown during his time with Ajax that he has what it takes to slot into Barca’s starting XI with ease. The Dutchman’s ability to play out from the back, combined with his composure when in possession, makes him an ideal signing for Barcelona, and one that we’re sure would excite all of the club’s fans.